Many synthetic biology projects involve the expression of recombinant proteins in microorganisms such as E. coli. The problems encountered with many synthetic biology projects often involve problems with protein expression. It is often very difficult to recognize the problem and pinpoint where it lies. The goal of the University of Calgary 2010 iGEM team is to build a protein expression "troubleshooting kit". This kit will contain two systems with which target genes can be inserted. In the resulting cell growth, fluorescent protein production will be used to determine whether there is a problem with protein expression as well as indicate where the protein expression is failing. Protein expression happens in three steps: the transcription of cell DNA to mRNA, the translation of mRNA into an amino acid sequence, and the folding of that amino acid sequence into a protein. Protein expression can fail at any point along these three steps. Our system uses two circuits to detect at which step possible errors have occured. The first circuit has a fluorescent reporter (GFP) that is produced when DNA is transcribed into mRNA and another (RFP) that is produced when mRNA is translated into a functional protein. When both reporter proteins are expressed in the cell, it indicates both transcription and translation are occurring. The second circuit involves reporter systems that are activated as a result of protein misfolding. Two native stress-activated promoters from E. coli were engineered upstream to fluorescent reporters that will respond to periplasmic and cytoplasmic protein misfolding. If the protein of interest misfolds in either area of the cell, one of the promoters will be activated and the corresponding fluorescence will be observed. 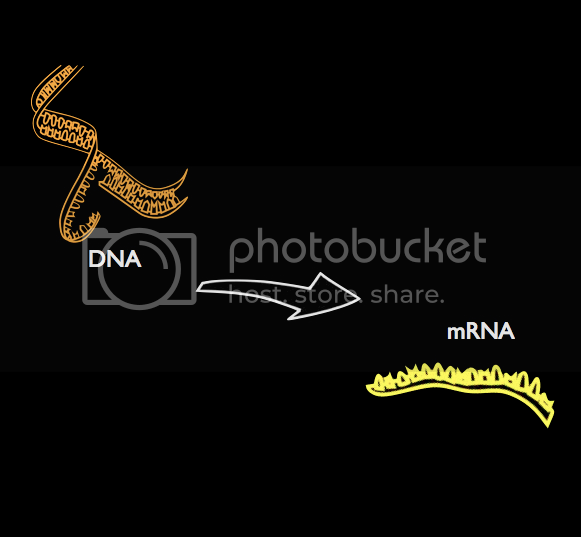 Transcription is the process by which the cell makes messenger RNA (mRNA) from DNA using RNA polymerase. The mRNA sequence is complementary to the DNA sequence that is being transcribed and uses adenine, cytosine, guanine, and uracil nucleotides (uracil replacing thymine). This mRNA sequence is later used as a template for the amino acid sequence. Translation is the process by which the cell forms a polypeptide chain using the mRNA sequence produced during transcription as a template. A ribosome translates the mRNA in three-nucleotide segments which each code for a diffferent amino acid. 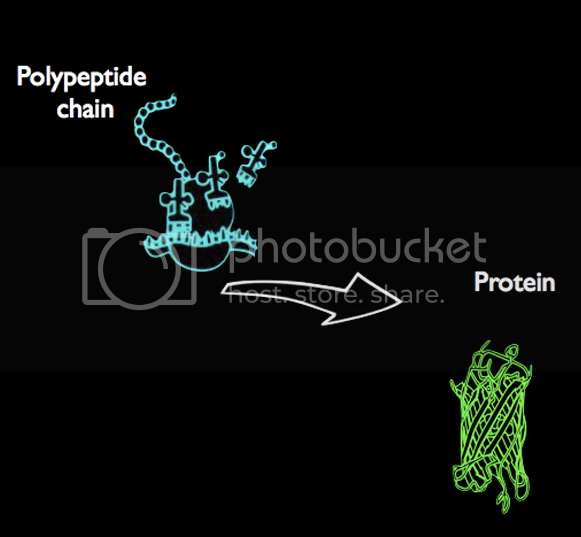 This polypeptide chain later folds into a functional protein conformation. Protein folding is the process by which a polypeptide chain folds into a functional protein. Amino acids in proteins have a property pertaining to water in which some have high afinity with water (hydrophilic) and some only repel water (hydrophobic). Due to the cells typically containing high quantities of water, the amino acid chain folds in order to hide the hydrophobic amino acids from the cell content. To increase the probability of a successful conformation being made, chaperone proteins are often used by the cell. The problem faced by many researchers today is difficulty in locating which step of the protein expression process is malfunctioning. iGEM teams are additionally constrained by a deadline. Our Toolkit has made it possible to pinpoint the exact process in which errors are occurring (transcription, translation, cytoplasmic protein folding or periplasmic protein folding), over the period of a few days. The most commonly used tests for transcription and translation are the Northern and Western Blot respectively. Northern Blot can be used to detect transcription because it relies on the isolation of mRNA. mRNA is typically extracted from a sample using oligo (dT) – cellulose chromatography. Essentially, this method exploits the poly-A tail characteristic of mRNA. In living cells, there are three types of naturally occurring RNA: rRNA, tRNA and mRNA. mRNA has a segment of (~250) Adenine nucleotides on the 3’ end that enhances both the lifetime and translatability of mRNA. The sample can be ran through a column containing oligo dT or deoxyribose Thymine nucleotides. These thymine nucleotides act as a sort of ‘primer’ such as primers in a PCR binding with the Poly-A tail. This ‘double stranded’ mRNA complex can be eluted out with a slight pH fluctuation. 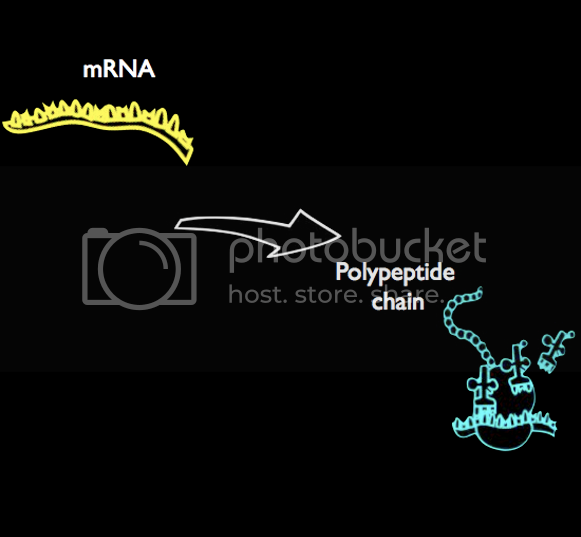 The isolated mRNA is then ran on a gel allowing it to segregate by size, and then blotted onto a nylon membrane. A positively charged nylon membrane is often more effective as the negatively charged nucleic acids have a higher affinity for it. The blotted membrane is then transferred to a transfer buffer containing RNA probes complimentary to the RNA sequence of interest. RNA is very unstable and is often degraded by factors such as high temperatures therefore the blotting process needs occur in the presence of formamide which helps lower the probe-RNA interaction temperature. Formamide is highly corrosive to the skin and an extreme teratogen. The membrane can then be examined under UV light, which will allow the RNA-probe complexes to fluoresce. This indicates that the DNA sequence of interest is being translated. From this procedure, we can see that there are limitations and disadvantages of using Northern Blot. Firstly, it is an extremely selective procedure. Concentrations of buffers, solvents and probes need to be optimal for the reaction to occur. Additionally, primer and probe sequences need to be exact. The entire Northen Blot procedure can take up to 8 days, which can be big issue for iGEM teams with stringent deadlines. Another major limitation is due the unstability of RNA, if RNA samples are even slightly degraded, the quality of the data and the ability to quantitate expression are severely compromised. For example, even a single cleavage in 20% of 4 kb target molecules will decrease the returned signal by 20%. Thus, RNase-free reagents and techniques are essential. The obvious final disadvatage is that Northern requires the use of harmful chemicals that need to be handled carefully. Our transcription/translation circuit has many advantages over the Norther Blot. For one, it does not require the user to handle RNA and therefore it eliminates concerns regarding mRNA degradation. Another advantage would be that it does not require the use of harmful and carcinogenic chemicals, as it is just a simple construction of two DNA sequences that can then be transformed into cells. Our system also eliminates the specificity of primers and probes by eliminating the use of them together. Our project is broken up into three smaller sections. Click any of the links on the side to learn more about each individual section.